During my early morning bath today I began to ponder about something that I thought I must write about. It is about our intimate hygiene. A couple of months ago, I had a bad case of UTI i.e. Urinary Tract Infection. I ignored for a couple of days thinking it will go away since I used a good intimate hygiene wash, but it just got worse. I felt so ill that I had to skip work for a week. I call myself a modern city girl. 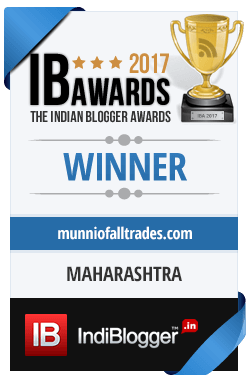 I have been born and brought up in Mumbai and surely intimate hygiene is something I should be able to talk openly about right? Yet, I was so ashamed that I chose to bear the pain instead of going to a gynecologist right away for treatment. I think what made me feel that sense of shame was that I was doing nothing wrong. I was using a good intimate hygiene wash, I was changing my underclothes twice a day, I even used a toilet seat sanitizer. I mean there was no reason for me to contract UTI and I still did. Anyway, once I got better, I decided to explore some new products for intimate hygiene. I have been using IM for some time now and I would like to share my experience. 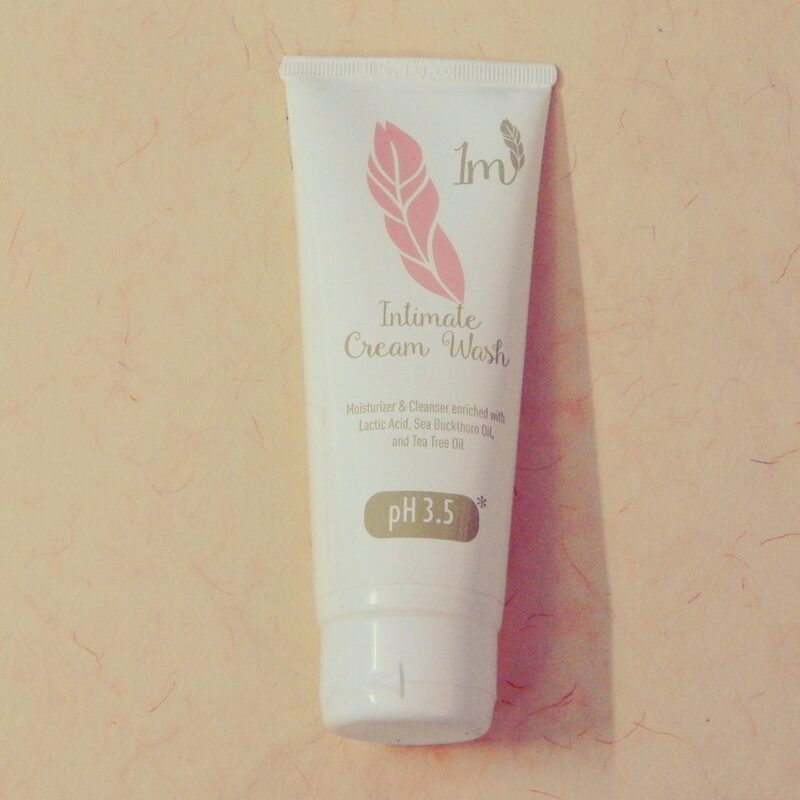 Apply 1m Intimate Cream Wash on the dry or wet skin of your intimate area. Rinse lightly during bathing if needed. 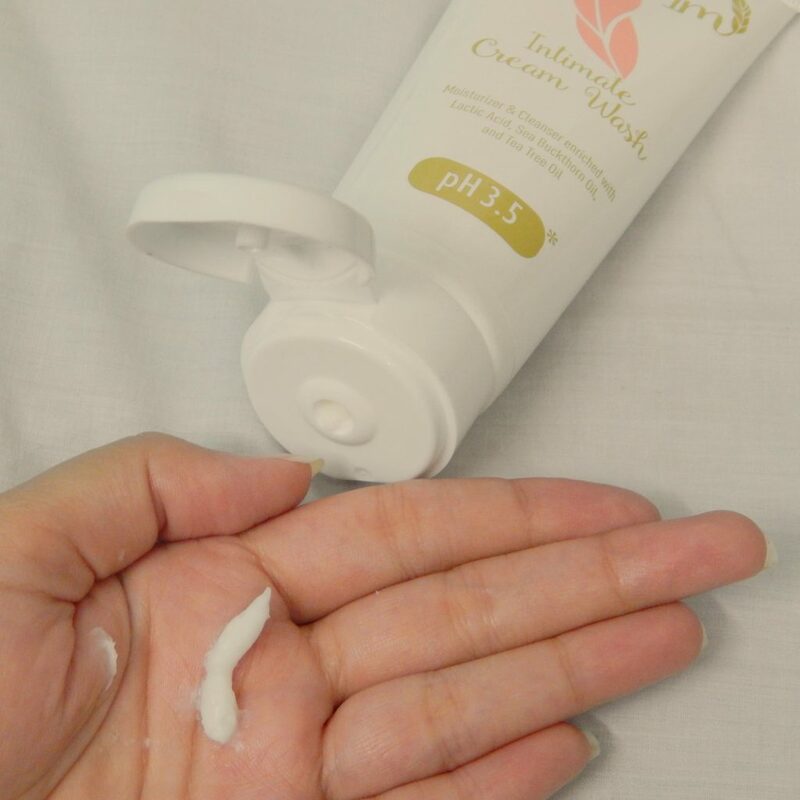 As this is a water soluble cream with natural ingredients, you can rinse it off or leave it on the skin. It is safe for everyday use. Aqua, Cetosteryl Alcohol, Light Liquid Paraffin, Cocamidopropyl Betaine, Lactic Acid, Cetyltrimethyl Ammonium Bromide, Glycerine IP, Dimethecone, Parfum, Hippophae Rhamnoides (Sea Buckthorn) Oil, Melaleuca Alternifolia (Tea Tree) Leaf Oil. Reduces dryness, itchiness, soreness, burning, unpleasant odour and symptoms of vaginal discharge. It also restores the beneficial bacteria Lactobacillus acidophilus naturally found in the intimate area and significantly lowers your risk of vaginal infection. Firstly, 1m Intimate Wash is not like the usual intimate hygiene products that are available. 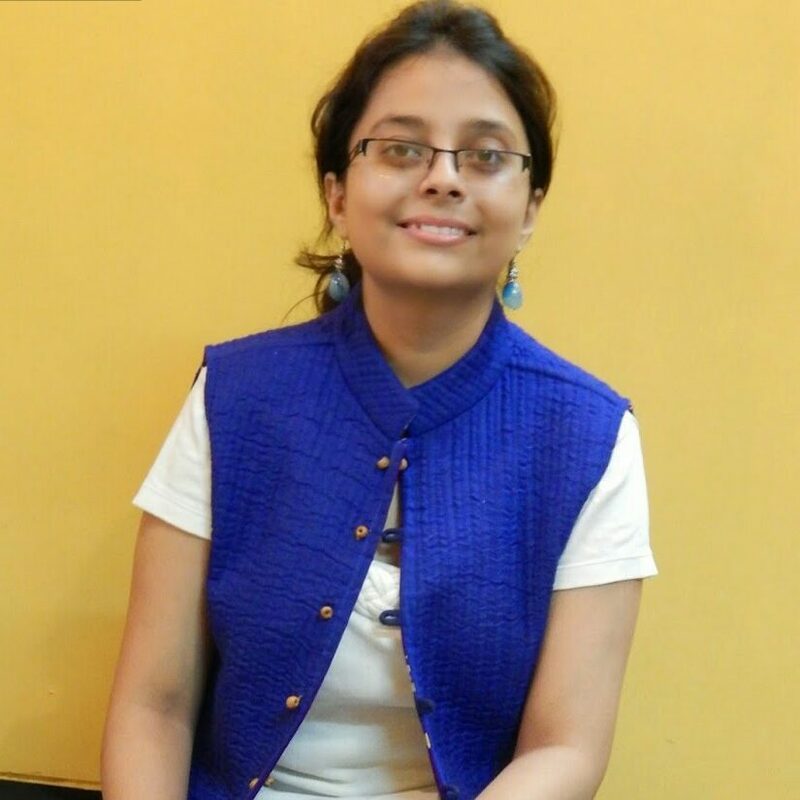 It is a cream based product instead of the gel like variants that I have always used. You might take some time to get used to its texture, but when you do, I assure you that you will be very pleased with it. I love its ingredient list especially the fact that it contains Tea Tree leaf oil. One interesting aspect of this product is that you need not rinse it off everytime you use. I find that this is very useful especially when one is on the road for long with limited access to water and clean toilets. It has a pleasant fragrance, too, though personally, I prefer that my intimate hygiene products are perfume free. 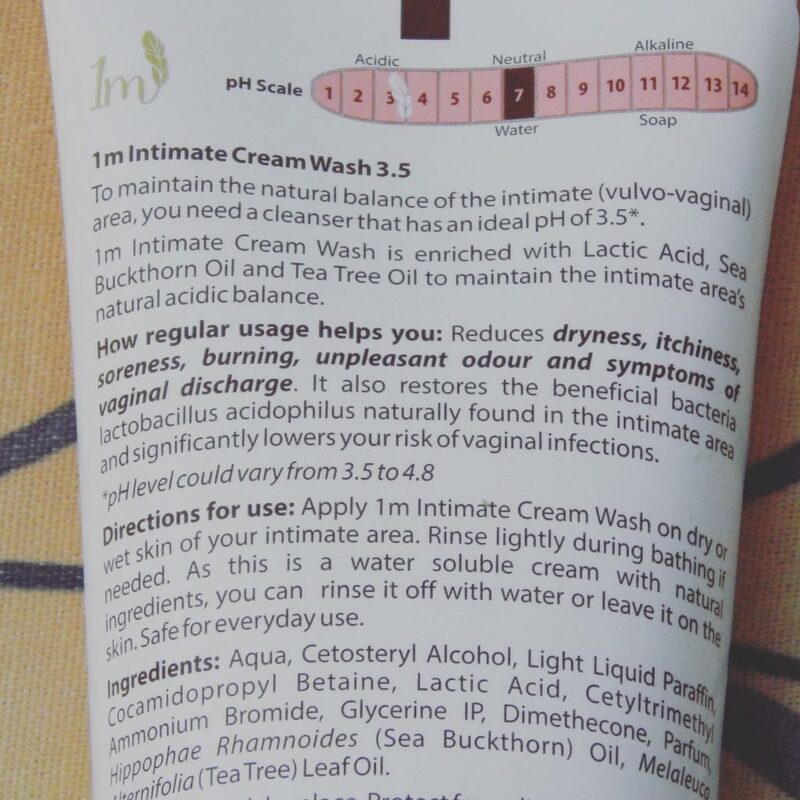 It has solved the problem of dryness and itchiness for me though I cannot comment on how effective it is in reducing vaginal infections since I have not been using it for very long. However, what I can tell you is that it is a good quality intimate hygiene wash which is surprisingly affordable. It is one that I intend to continue using. That area down there can give a lot of ladies problems. This product sounds like something that I could use as I am very sensitive down there. Sounds very helpful product for women on the move! And at a really good price I’ll be sure to forward to my gf! This is not my normal brand, but I would be up for trying it! I like the list of ingredients 1M has! This is a product I need to start using. I know my pH is off because I use regular body wash. Perfect for my ph balance problem. I will have to try 1M in my routine. I hope this cream is truly helpful. My concern is that we’re buying way too many products when we only need a few or none at all. Sounds like an interesting product. Not so sure about using a feminine cleansing product on my face as an alternative though but hey – if it works for others. It can definitely be a problem if your pH is off in this delicate area. That can really cause itching and other issues. It’s good to know this helps. This sounds like a very useful product. I will have to check it out. PH balance is so important.